So what is T-Tapp anyway? 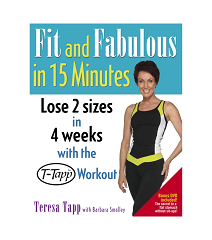 T-Tapp workouts are designed by an exercise physiologist (Teresa Tapp) to be done at home and require no weights or equipment and are appropriate for are for all ages and fitness levels. They are lymphatic (detoxifying) and anti-inflammatory (averting the precursor to diseases), strengthening and facilitating the functioning of all body muscles, glands, organs, and bones. The workouts are cardio-building, but with no jumping and no impact to your precious joints. 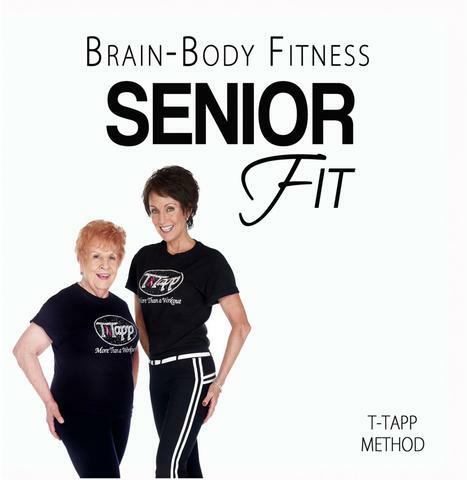 T-Tapp workout are also rehabilitative and balancing, promoting greater strength and flexibility to avoid injury. They also teach and facilitate proper posture and body alignment. In addition, the workouts work the brain and help to increase cognitive function and integrate the left and right brain hemispheres. Every workout is an educational experience, as well, teaching you how to incoporate these life-changing principles into your daily routines. Sound too good to be true? Well, there’s more! 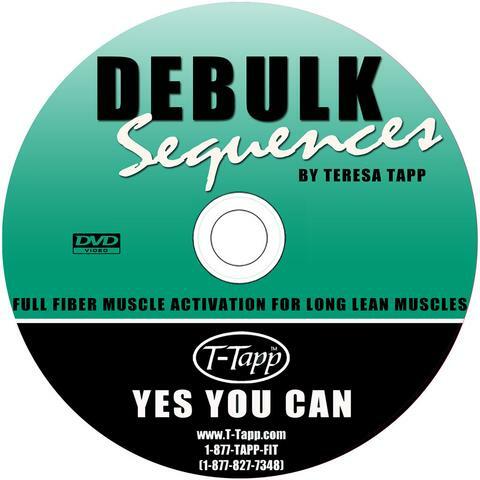 In addition to all of this, T-Tapp workouts are designed to create long, lean muscle with greater density, so you actually lose inches quite quickly. 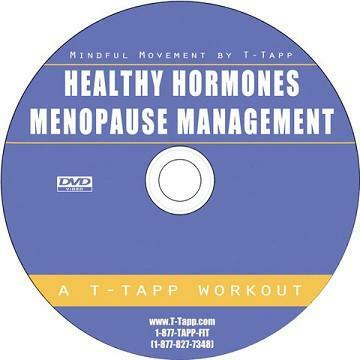 Users have reported a whole host of health improvements, including hormonal balancing, improvement of adrenal fatigue and thyroid dysfunction, and lessening of pain and symptoms for a variety of causes, with the application of T-Tapp principles. Now, for perhpas the best part of all. It only takes as little as 15 minutes a day to accomplish all of this!!! And you don’t have to continually do more reps or spend more time to get more results. Your difficulty level naturally increases as your body incorporates more of the principles being taught in the same workout. Pretty amazing, right? Yes, it really is! And you can do it, even if you have thyroid, adrenal, auto-immunity, or more. I did!!! Read what medical expert, Dr. Perricone, has to say about today’s popular forms of exercise. 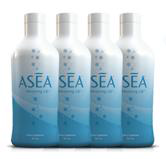 “Our obsession with strenuous over-exercising produces free radicals that actually encourage the aging process. T-Tapp provides the perfect antidote. 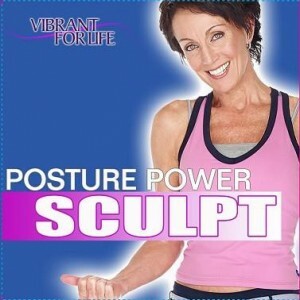 This program is quick, easy, efficient, places no stress on the joints and, most important, it is effective. 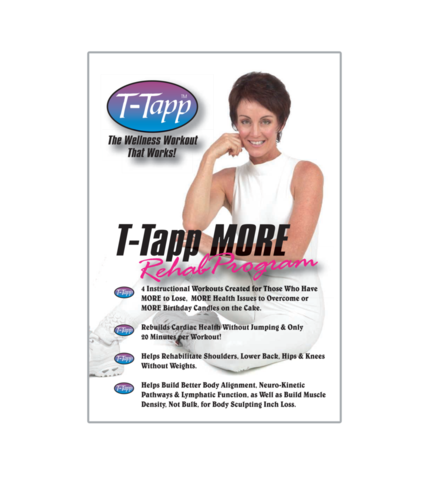 The T-Tapp system is the ideal anti-aging workout. The pioneer doctor who proposed that inflammation is the precursor to disease and aging– he was right! It’s time for something new and holistic! Listen as I am being interviewed about T-Tapp, its background, and how it works. So what’s the history behind T-Tapp workouts? (click to view if video above is not showing). on your whole body health? (even with the digestive system) when you engage the brain and body in mindful movement! 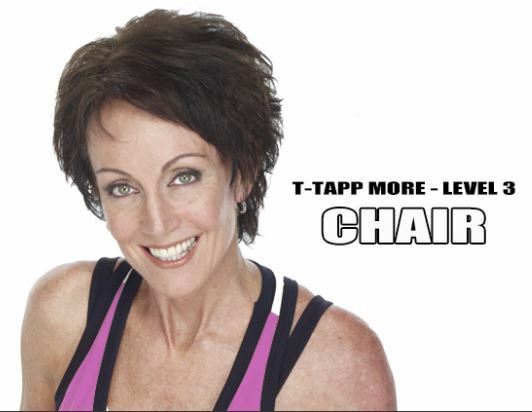 Looking for RECOMMENDATIONS on T-Tapp Lymphatic & Holistic Workouts? Digital Options, too! Scroll Down. and Michael (ex-football professional player), from Great Day TB. 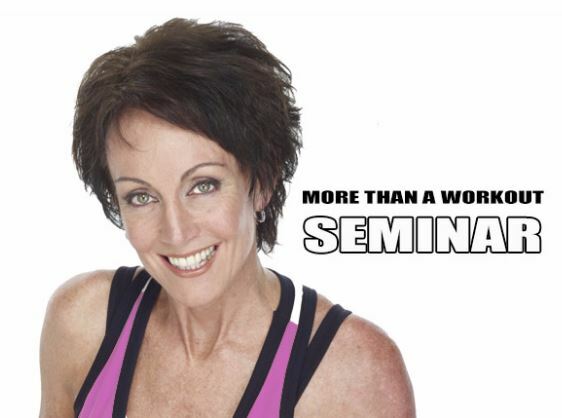 and for Consultations and/or Personal Training or Health Coaching (via Skype or in person). MY PERSONAL RECOMMENDATIONS for T-Tapp Workouts!!! (I can make more specific recommendations to clients after they complete a health/fitness survey and I talk with them and assess their individual needs visually, but the recommendations below will give you some direction. I am open for Consultations via Skype or in person, if you’d like a more personal recommendation. 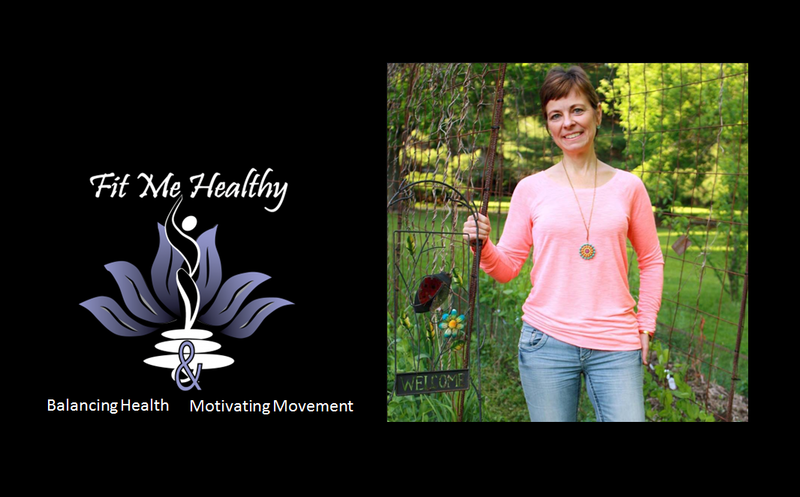 You can email me at linda@fitmehealthy.com to discuss this or see my current Special Offers Page. If you are confused or still needing help, please email me. I’m happy to get to going in the right direction. 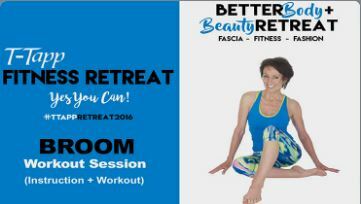 Want to be educated on some of the “why’s” behind T-Tapp and “feel” the differences in your body from traditional workouts? Check out this More Than a Workout DVD or the Digital More Than A Workout streaming video to get instant access and begin experiencing this remarkable system for yourself! 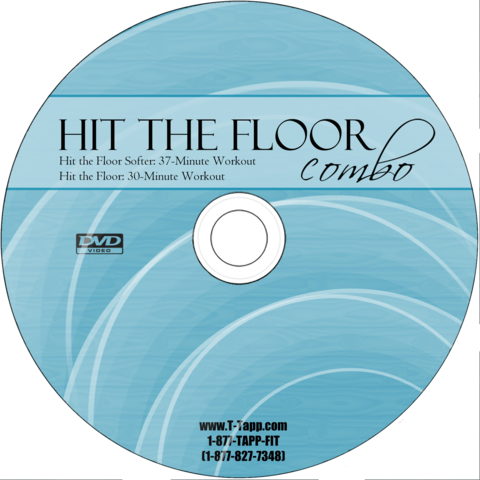 I will tell you that the Senior Fit Workout DVD Set or the First Step DVD (more advanced than the Digital version) or the Digital First Step Workouts are a must-have for everyone. Yes, everyone of every age! Think “senior, or master, muscle activation” not necessarily just for seniors in years (but very safe for them/us, as well). That is my unbiased opinion, as a Master T-Tapp Trainer who has worked with LOTS of people over the years. You can start here and move on, if you like, but for muscle imbalances, correct technique, and a whole host of other reasons, I highly recommend it! I would consider First Steps a little more advanced than Senior Fit, in the sense that some prior experience is recommended for it. If you’ve got more to lose, more years you’ve lived (congratulations!) 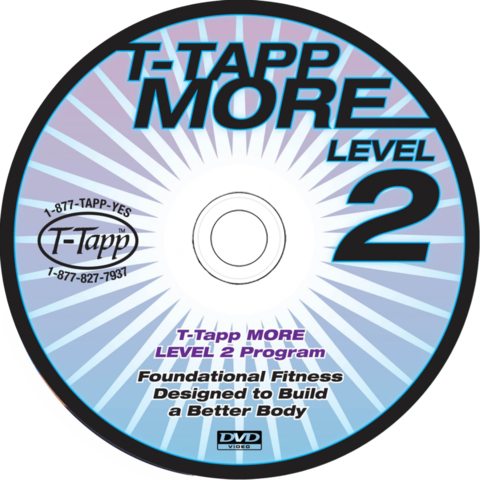 or more concerns, then the T-Tapp More DVD Set (1&2) is a great place for you to start and actually to remain, as these have stages of workouts that allow you to advance, as you are able. This set also provides a variety of instruction and movements, including walking, use of a broomstick for correct form, seated, standing, how to handle stairs and getting up and down from the floor, and MORE! 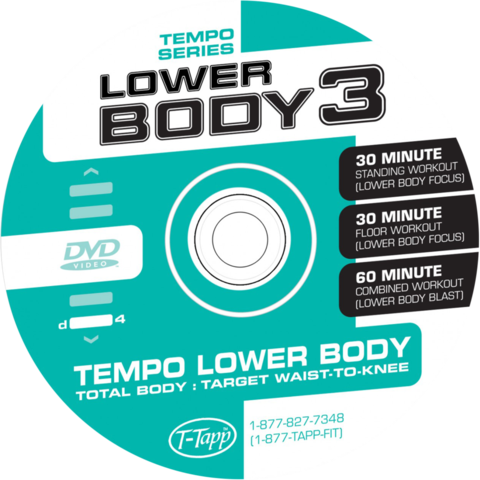 MORE Level 3 Set is also great for targeting spine and joint rehabilitation along with auto-immune disease such as Fibromyalgia, Chronic Fatigue and Epstein Barr and includes chair, walking, & broom workouts. For a Digital option focusing on seated movements, try Digital More Level 3: Chair. Got HORMONES?? ?… but also sufficient energy to deal with them? 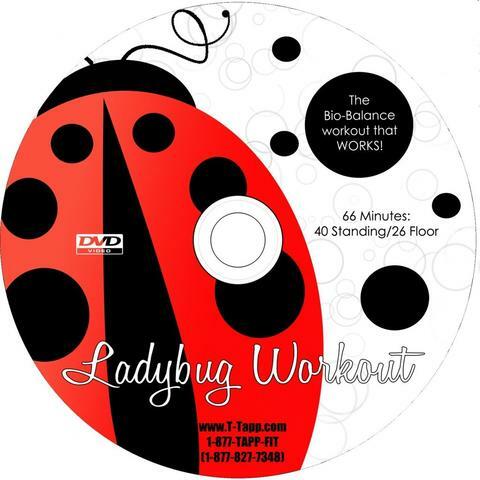 The Ladybug Workout DVD is still a favorite of mine. With a standing and floor segment to choose from or to combine, this one really does balance those hormones very successfully (and blood sugar, too). They’re related, you know! Very in-tune with your body and just ready to go full-force with lots of energy?–Then consider the original Basic Workout DVD or Total Workout DVD, for getting started. Progress from Basic Workout or Total Workout on to Turn Back Time DVD, as soon as you are ready, and get in on the newest form techniques and tweaks, once you’ve got the basics down. 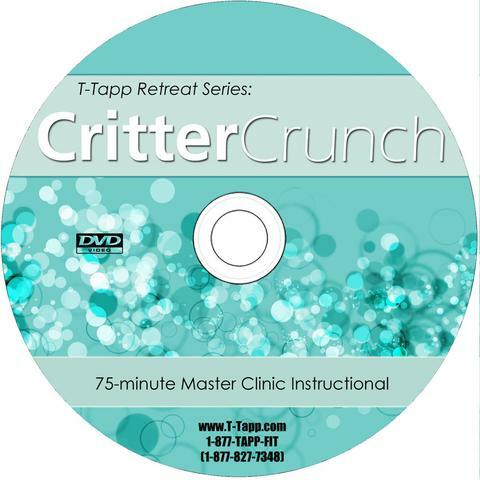 If the ankles are rolling too much, or you want more activation in the feet and calves, or you just like being in bare feet, ADD ON the Barefoot Basic Clinic DVD. Wanting a full-body workout with all the newest form tips and tweaks? on to Posture Power Sculpt will lead the way! Shoulder slouching or pronation or not-so-great range of motion? Please consider Broom Clinic DVD (Quite informative and comprehensive) and ADD ON Broom 2 DVD for a quicker option on a day without a lot of time. Looking for a DIGITAL streaming option? 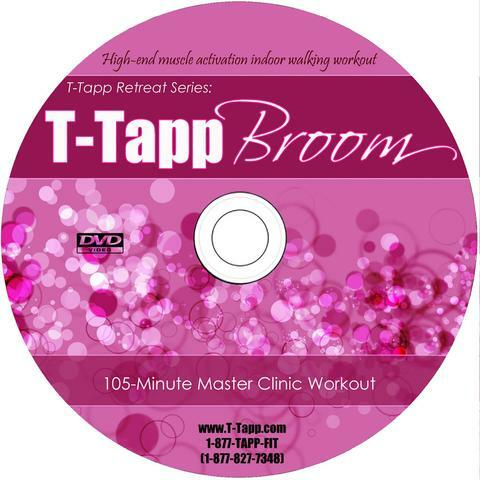 You’ll find a Digital Broom Workout here! More Cardio desired, or you like to walk or need to learn HOW TO WALK to get RESULTS, or need a Hormonal Walk-off? 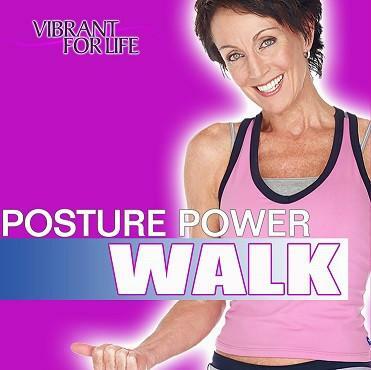 The Step Away Series or Posture Power Walk (newer form tips) is what you want. This is another option that basically everyone should own and be familiar with, in my opinion. 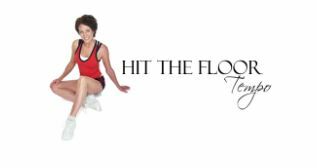 Feeling inflexible, or have more joint laxity (hypermobility) than is beneficial for you or your joints?–please, please try out the Brain Body Fitness Floor series, and move into the Brain Body Core Floor workout, if you have more energy to burn and feel confident with the first one mentioned. Wanting to quickly lean out bulk to get long, lean, slimmer, trimmer muscles? Several different shorter sequences hit the entire body with standing and floor with these Debulk Sequences. Focusing on problem areas, like torso, upper body (and arms), or lower body?….you’re covered! 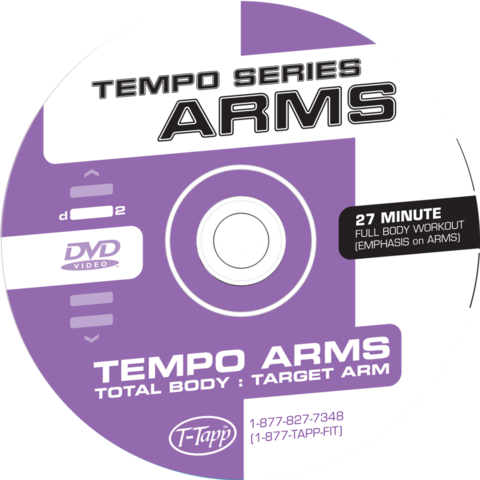 The Tempo Series has it all. Do you have the combination body type that gains ALL OVER and seems slow to lose? 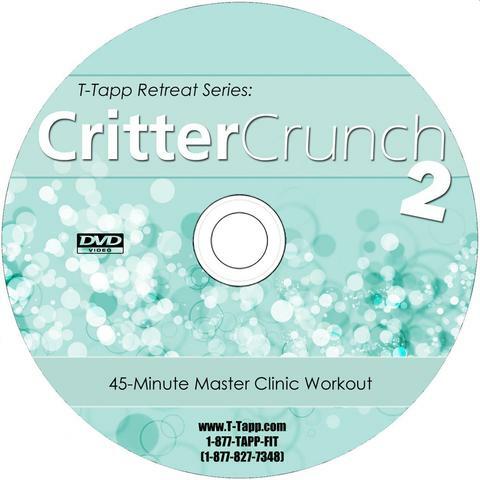 The moves in Critter Crunch or Critter Crunch Floor workouts are some of the best targeted for these folks (me, included). 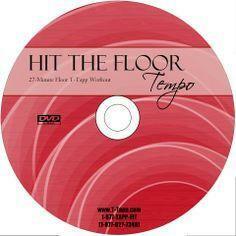 Some other options are any of the Hit The Floor series on DVD or on Digital. After learning more and more about Bio-Mechanics, I’m appreciating EVEN MORE the importance of the FEET and FLEXIBILITY in ALL FOOT & FINGER JOINTS for EVERYONE! That’s why I would tell everyone to please do the Finger & Foot Fitness Clinic (packed full with information and exercises) to loosen up tight spots and to create a GREAT BASE for your body. Want something on those days that you don’t feel like standing for a workout?-I do! The Warmup Workout Series is actually very wonderful! I so enjoy them. You will feel very warmed up and stretched out, as well as worked out. How about needing or wanting to sit down (or learn moves for plane or car rides), or for whatever reason, and wanting to get that good lymphatic pumping, even while seated? Tapp Core 2 will teach you how. What about fitness for kids (great for homeschool P.E.) or sneaking in short moves throughout your work day? 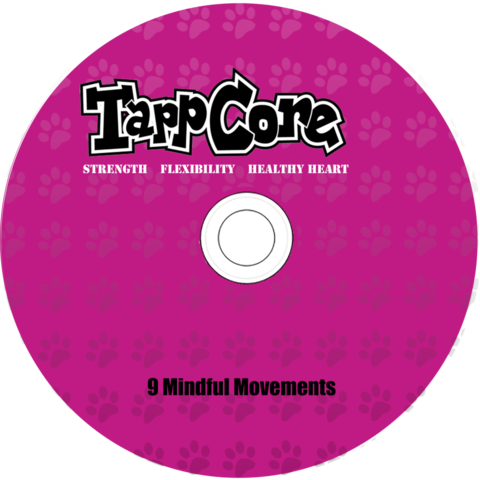 Tapp Core (the original) can’t be beat! It even features Teresa’s dog, Buddy, doing his exercise. I didn’t mean to leave any of the workouts or DVDs out, but I will stop here. They are ALL fabulous and so masterfully created with such intricacy that is often not visible to the untrained eye. Oh, so powerful for our LYMPHATIC SYSTEMS and WHOLE BODY HEALTH. Enjoy them all!! There are a number of great supplement products available at the T-Tapp store. 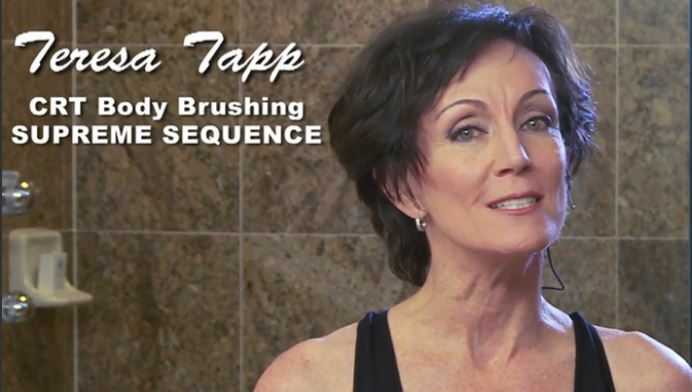 Some of the more popular ones are related to the patented CRT (cellulite reduction technique) Skin Products, including the Premium Blend Alfalfa and the Dry Skin Brushing Products and Instructionals in print & DVD. or the Digital options of CRT skin products, like the Digital Body Brushing Supreme Session and the Digital Moisturizing and Skin Tightening Session. 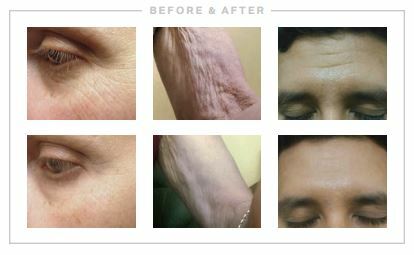 Read more about the CRT Skin & Cellulite Reduction System.